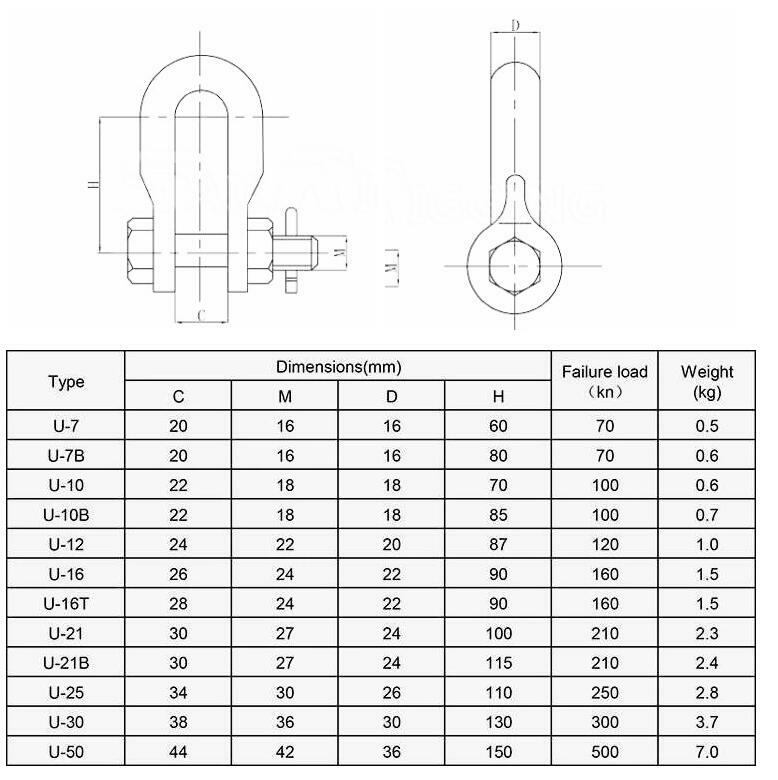 Product categories of U-shackle, we are specialized manufacturers from China, Adjustable U-Shackle, U Type Shackle suppliers/factory, wholesale high-quality products of Stainless Steel U-Shackle R & D and manufacturing, we have the perfect after-sales service and technical support. Look forward to your cooperation! 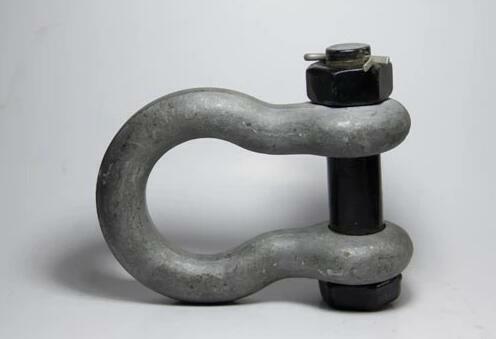 Features: clevis shackle are made for installation in holes augered by power drillers. A retainer on the bottom holds the nut from the forged eye rod (sold separately) Application: A hole to the size listed on the table for the anchors is augered to a depth based on the rod length. The hole is undercut so the anchor is at a right angle to the guy. A rod trench is cut with a trenching tool or drilled with a small power auger to the guy angle. The width of the trench should be just sufficient to accommodate the rod. The rod is secured to the cross plate anchor and placed in the excavated hole and trench. The hole is then refilled and tamped. Hot-dip Galvanized U Shackle/U Type Shackle Clevis are malleabe iron or casting steel, these cotter pins are stainless, the other parts are hot-dip galvanized. They are used to connect insulator and Electric Power Fittings on ultra high voltage transmission line.